Whatever success looks like to you, the key lies in telling a story that truly stands out. Whatever success looks like to you, the key lies in telling a story that truly stands out. That’s where we come in. 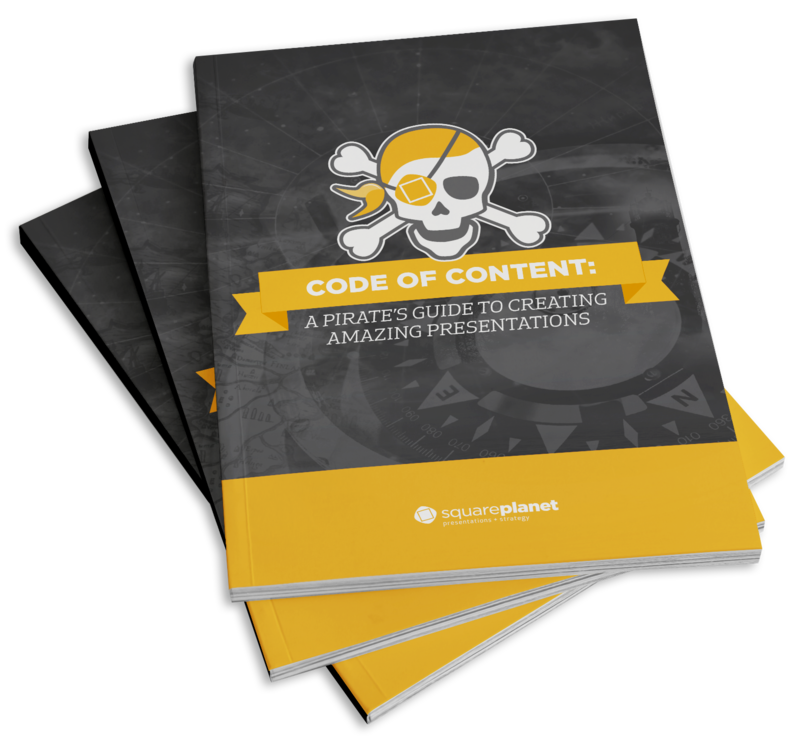 make a greater impact through dynamic presentations. We help keynote speakers, brands, authors and executive leaders make a greater impact through dynamic presentations. You have a story to tell and an opportunity to tell it. Our team of writers, designers and strategy experts will help you turn that story into a presentation unlike anything your audience has ever experienced. This isn’t about what to do with your hands during a presentation. Think deeper. Whether it’s one-on-one speaker training or immersive group workshops, we’re on a mission to revolutionize how people communicate. At any conference, meeting or event, audience experience is everything. From creative theme development to technical execution, we offer a range of solutions to ensure your next event makes maximum impact. And it’s not because we have a special affinity for eye patches and talking parrots. We’re pirates because of our beliefs, not our costumes. Although we do take pride in our costumes. We believe that too often, opportunities to truly connect with an audience are wasted in favor of playing it safe. No matter what sea you’re sailing in, safe will get you nowhere fast. We believe fortune favors the bold. And we want to work with people and brands who agree. And it’s not because we have a special affinity for eye patches and talking parrots. We’re pirates because of our beliefs, not our costumes. Our methods, musings and materials – all geared around helping you become a better presenter and communicator. What’s inside? Blogs, videos, podcasts and other nuggets of gold as far as the eye can see. Our methods, musings and materials — all geared around helping you become a better presenter and communicator. What’s inside? Blogs, videos, podcasts and other nuggets of bold as far as the eye can see. What’s going on in your world? We’d love to learn more about what you’re working on and how we can help you change whatever ‘everything’ means to you.